Extra low cut for the most covert cover you could hope for, you can keep ankles fashionably bare in Tommy Hilfiger Plain Cotton Invisible Footie Socks, available as a convenient twin pack. These quality cotton rich blend socks go unseen while they provide fine gauge, comfortable and cool barriers for feet. 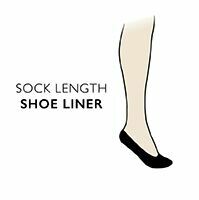 They use as few seams as possible, with a slim hem, flat hand linked toes for smooth seams and a shaped heel section. The only branding used is a small motif woven into the uppers.